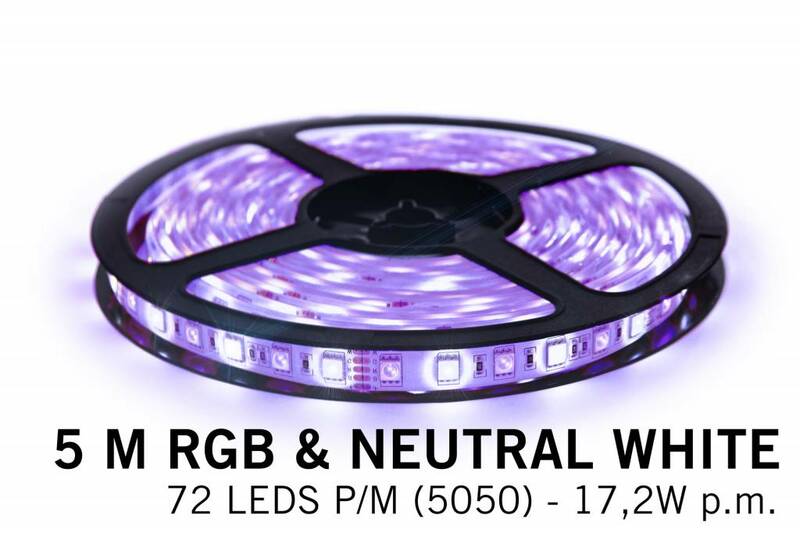 RGBW wifi ledstrip kit that fits multiple lighting application needs: You switch effortlessly from bright neutral light to a decorative color. 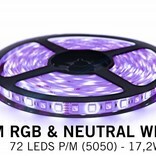 This unique RGBW ledstrip with 360 high brightness SMD type 5050 LEDS's is developed by us to have 15% more LED's than a standard (60 LED's per meter) ledstrip. 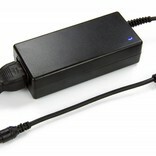 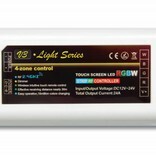 With 180 dedicated neutral white LED's and 180 RGB color LED's it fits any lighting need. 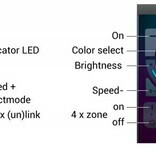 With a few quick touches on your Apple / Android smartphone or tablet you take control over 8 unique zones whereof you can set the brightness, tint or color mode. 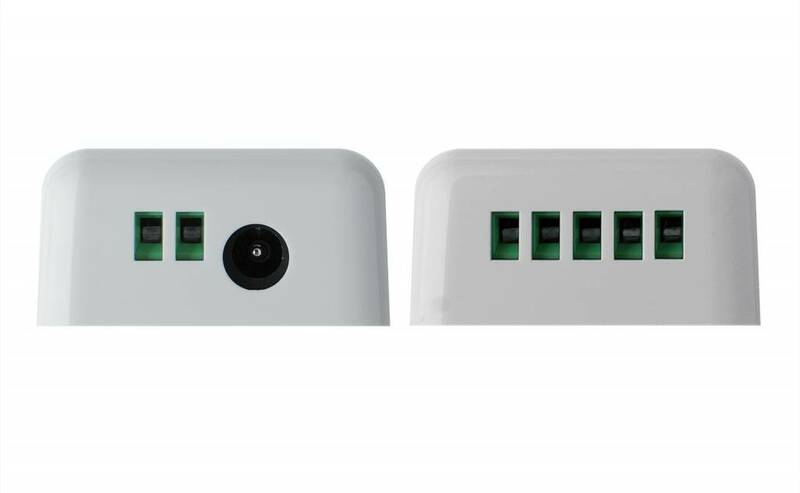 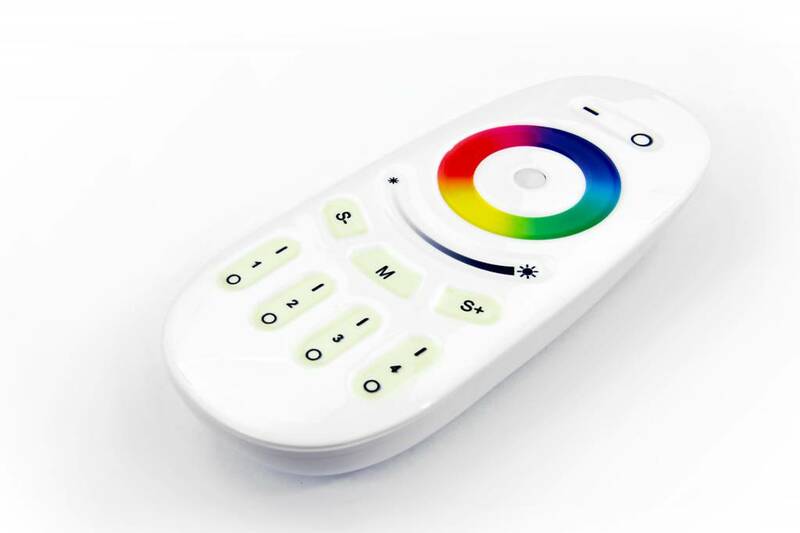 Besides setting the brightness, choosing a pleasing color or neutral light, you can also pick one of the multiple effect modes. 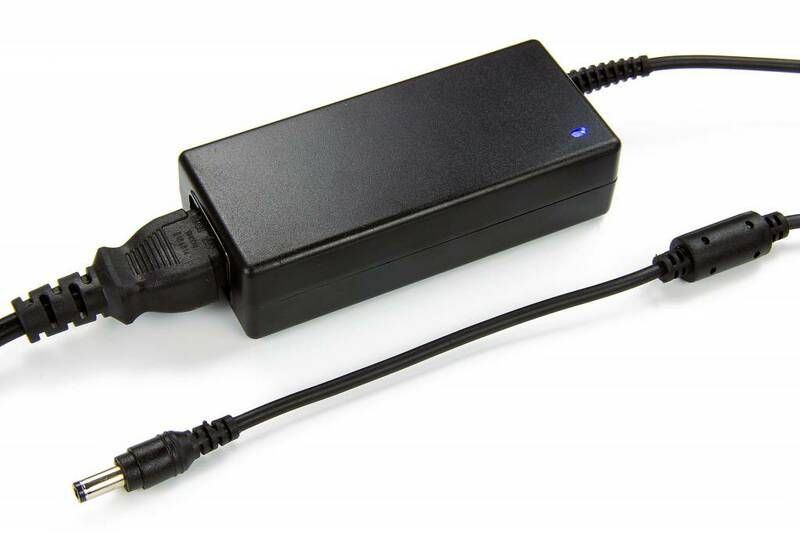 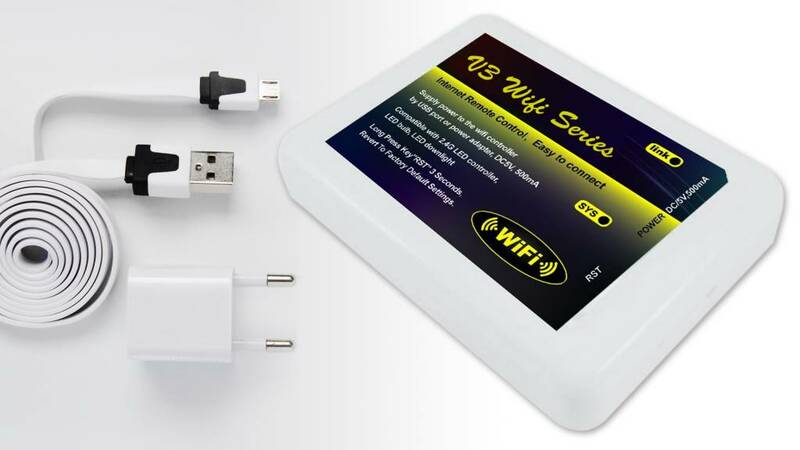 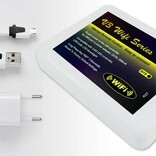 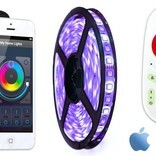 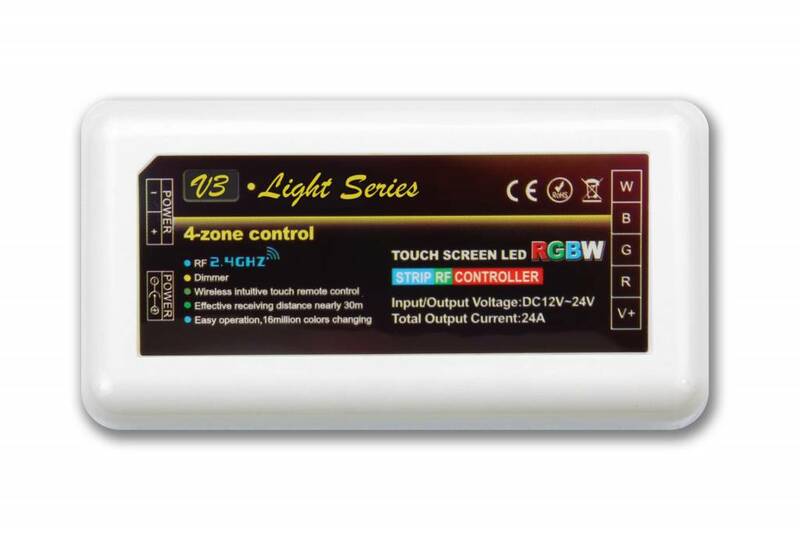 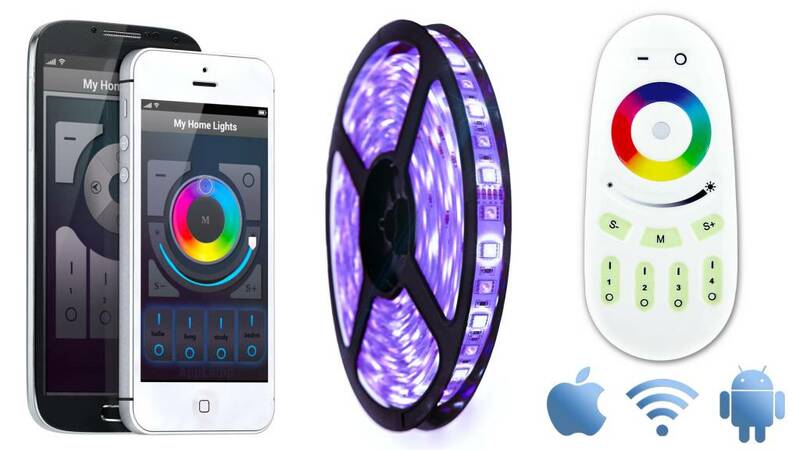 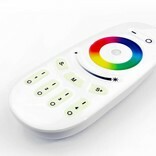 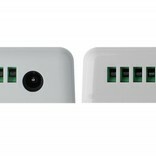 The RGBW WiFi ledstrip kit is very complete with the additional RF Color Touch remote.